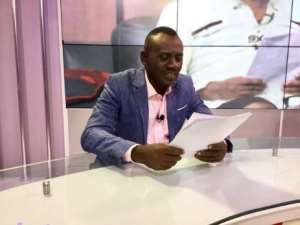 Kumawood actor and TV host Akwasi Boadi, popularly known as Akrobeto, recently metioned in an interview that he will never get involved in politics as it will neither put food on his table nor money in his pocket. According to the 56-year-old actor, he believes in working for his money rather than getting involved in politics which will not earn him any profit. “I believe in working hard for my money than to follow politics. How much can politics pay me? Politics cannot take care of me for the rest of my life but my hard work will. I am living my life and I am proud I am making it,” he said. Akrobeto stated that neither NPP nor NDC could solve his problems and he prefers to be independent to relying on others. Moving away from politics, Akrobeto, who has starred in countless movies such as Onipa Awieye, Don’t Break My Heart, The Tyrant King, Enemy Within, Efie Bia Amanea Wom among others, said he would not prevent any of his children from joining the movie industry. “Unfortunately, none of my children has expressed interest in acting but if they do, I will gladly allow them because I have made money from it,” he said. He also shared his thoughts on prophecies that had come this year indicating that a number of celebrities would die. He disclosed that he had received his fair share over the years but was not worried because he believed in God. “When you live a righteous life, you don’t really care what happens to you. I am not scared of death because I know I live a righteous life, everyone will die one day and after death we will all be judged,” he said. Akrobeto has been cracking ribs with his Real News programme on UTV for a while now. The way he pronounces the English words and the comical slant he puts on the news has made the programme very popular. He disclosed that he did not intentionally mispronounce the words but said them as best as he could. “Everyone knows my level of education is very low and I don’t really mind. So far as I am making money and entertaining Ghanaians, I am okay. The positive feedback I get after reading the news is amazing and I am glad Ghanaians love it,” he said. On his hobbies and what music he loves, Akrobeto said he loves Gospel songs. “I love listening to gospel songs especially from the likes of Ohemaa Mercy, Patience Nyarko and Obaapa Christy. I think I am biased towards Gospel music because I was the leader of Kristo Asafo band for a long time,” he noted.